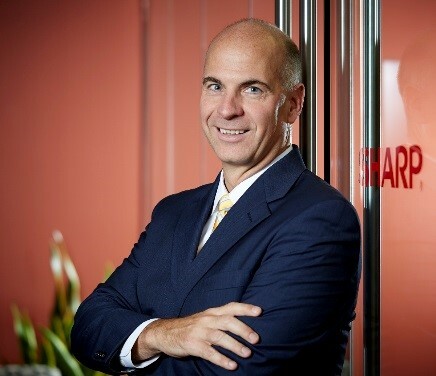 As the President and CEO of Sharp Imaging and Information Company of America Mike Marusic is responsible for the strategic direction and performance of Sharp’s B2B division in the Americas. Marusic has over 25 years of experience in both the document and computer peripheral businesses. Prior to his current position, he served as the Chief Operating Officer for Sharp Electronics Corporation and the EVP, Marketing, Operations and Technical Services for all B2B products. In these roles he was responsible for bringing new products to market, identifying customer needs, and improving operational processes to maximize Sharp’s business opportunities. Prior to joining Sharp in 2002, Marusic headed up the marketing group for Panasonic's copier and computer peripheral division. He received an MBA from Fordham University and a BA from Siena College.